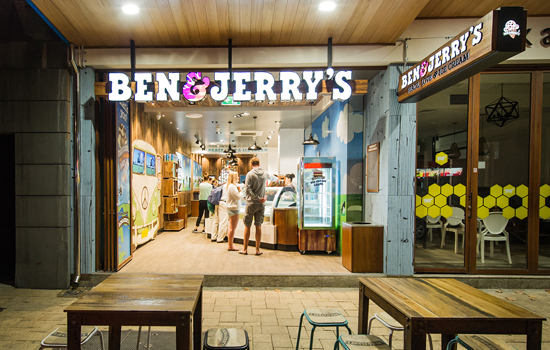 Ben & Jerry’s create more appetising interactions with external partners, using Dropbox Business to store and share files related to their retail shop setup and management. Consistency and smoother workflows: Ben & Jerry’s parent company, Unilever, decided that DiTonto and his partners should start using Dropbox Business to store and share files. Doing so allowed the company to keep files in one convenient place, whilst establishing more uniform processes around external sharing. As DiTonto says: “Dropbox Business lets us share relevant, up-to-date information with suppliers, contractors and anyone else involved in a project. If we make changes to a file, everyone knows about it. Our lives have become a lot easier with these smoother processes in place.” Dropbox Business has also helped solve pain points around sharing large files. Previously, files would have to be zipped or sent in a chain of emails, but now DiTonto and his team exchange them using shared links.